Shorewood Townhouse! Perfect to owner-occupy or as an investment. Located on a quiet street, this townhouse features units each with two generously sized bedrooms, one and a half baths, and good-sized living rooms and dining rooms with oak wood floors open to kitchens. Separate, dry basements with half baths and laundry areas. Two car detached garage. 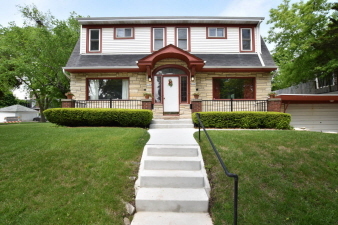 Blocks from UWM, Oakland Avenue and downtown Shorewood. See it today!